Let's kick off 2014 with a new fortnightly feature, which you can be pretty sure of seeing regularly as it doesn't involve me writing much. 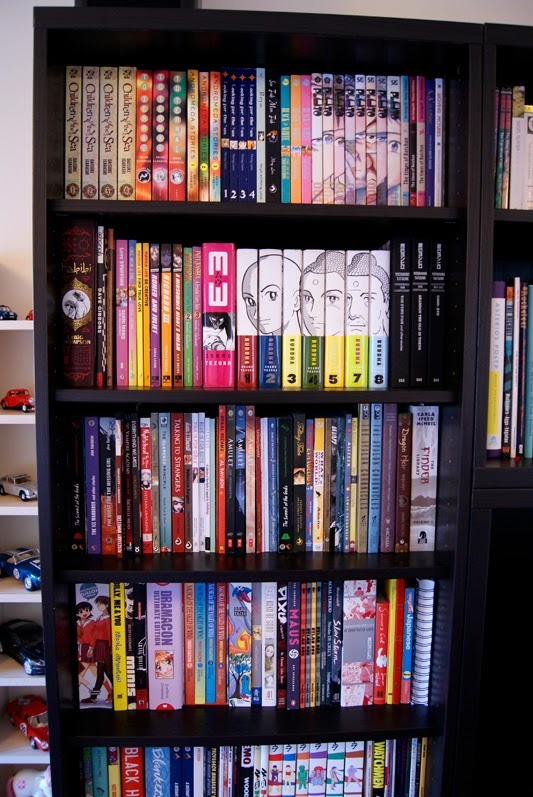 Introducing Comics Shelfie- where a lucky comics creator gets to talk about their personal comics/book collection and then select and talk about 3 individual books which are important to them ( although not necessarily comic books). 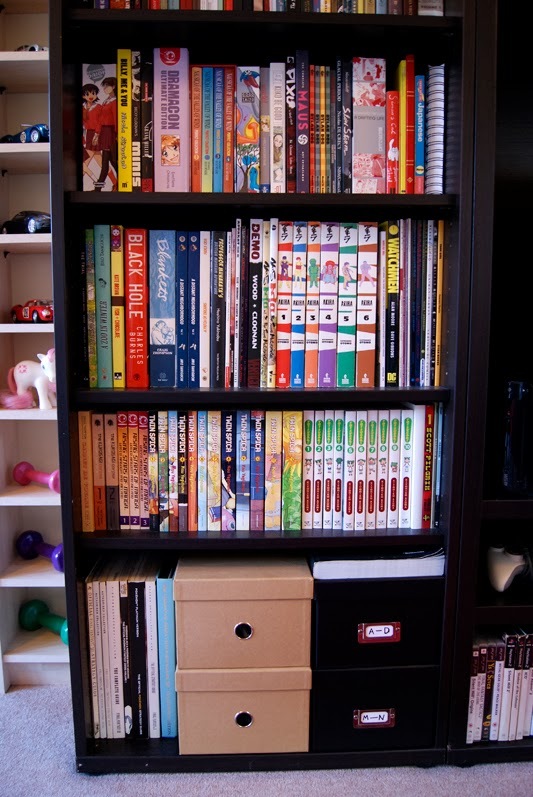 A feature birthed from my undying curiosity about other peoples bookshelves, and apparently one which I am not alone in harboring; I hope you'll enjoy it. 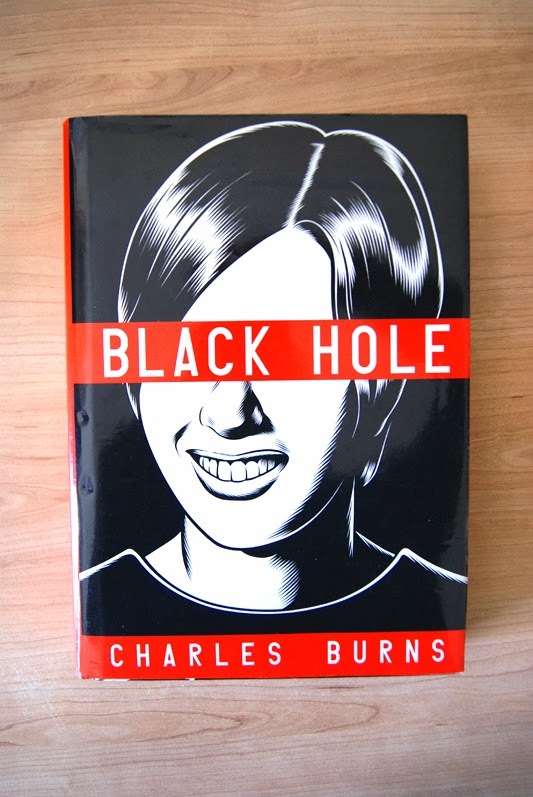 I don't think I knew who Charles Burns was at the time I picked this up. I'd gone out on my lunch break from the shop to look at the bookstore, and got super drawn to it. It was really more than I could afford, but I did buy it, and I remember its weight FEELING expensive and very special in the carry-bag on the way back to work. I started reading it immediately in the cellar amongst the unwashed wine glasses. 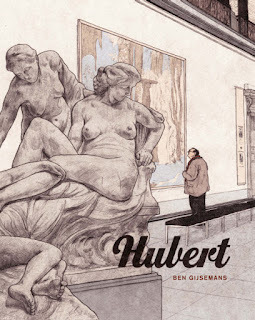 There are books I love, and then there are books that I love and have given me confidence as a creator, and this is one of the latter. Reading it at the time felt like being shown a little bit of Burns' true heart, and I felt privileged. It made me want to be honest and true to myself as a creator, too. Easily one of my favourite, and most important reads, ever. 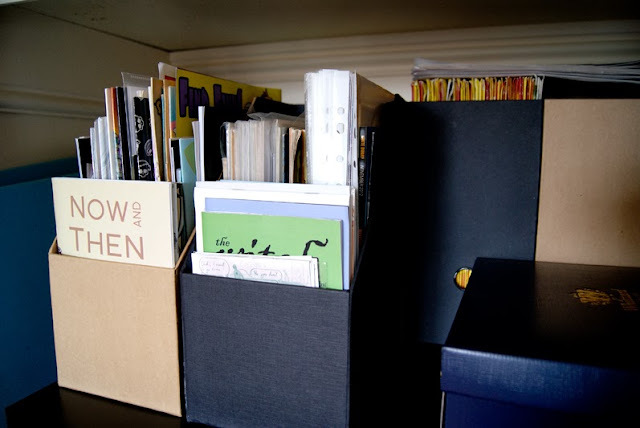 In university, our tutor set us a comic to read every week, and it was placed in a filing cabinet and we'd go and get it out. He was big on European creators, and so reading all these books when I was really trying to develop some skill had a big impact on me. 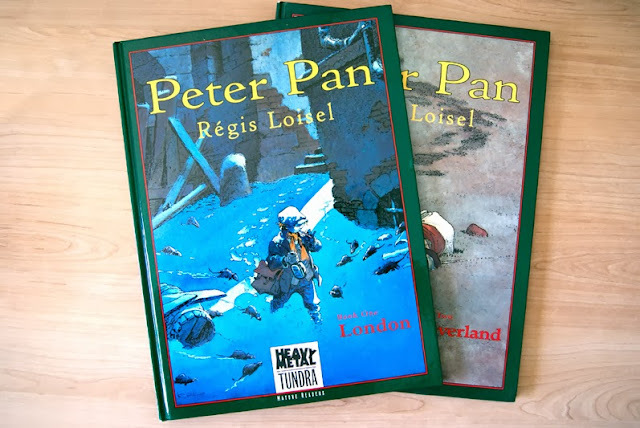 The thing I remember most about the second volume of Loisel's Peter Pan was that my tutor said some of the content might be too much for me, because, you know, I was a girl. Obviously, that made me want to read it even more. I loved how grotesque and beautiful everything about the books was, and while I felt I could never match the draftsmanship that Loisel posessed, I wanted to try and inject the lived-in feeling he gives his characters and settings, as much as I could. 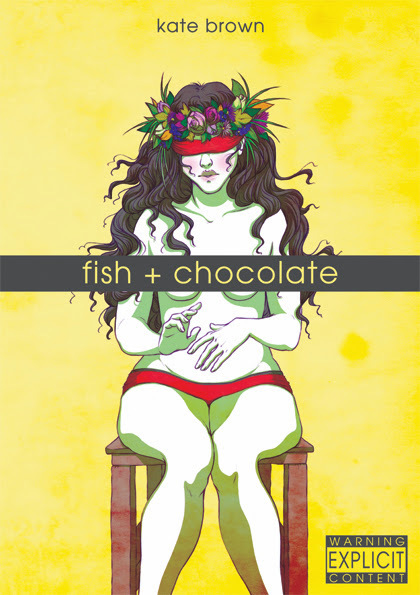 And it taught me not to be afraid of what I wanted to show in my work, too. 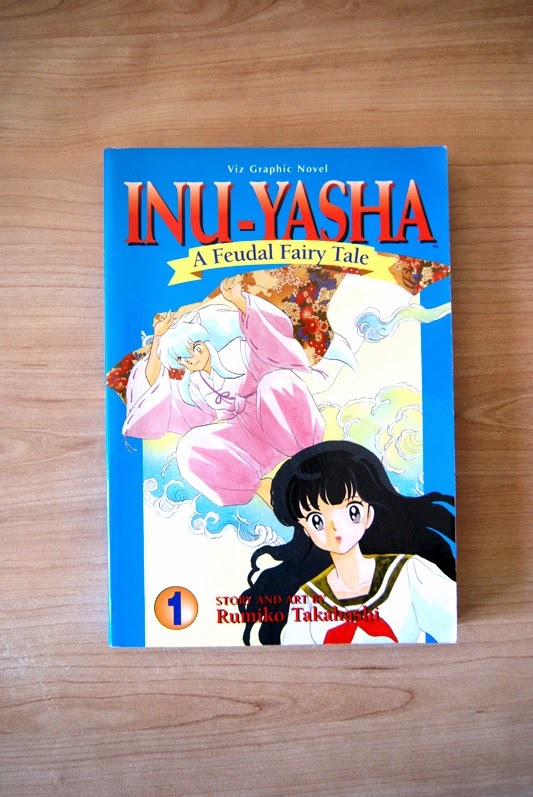 I couldn't say it's my favourite comic, but Inuyasha is still super special to me! 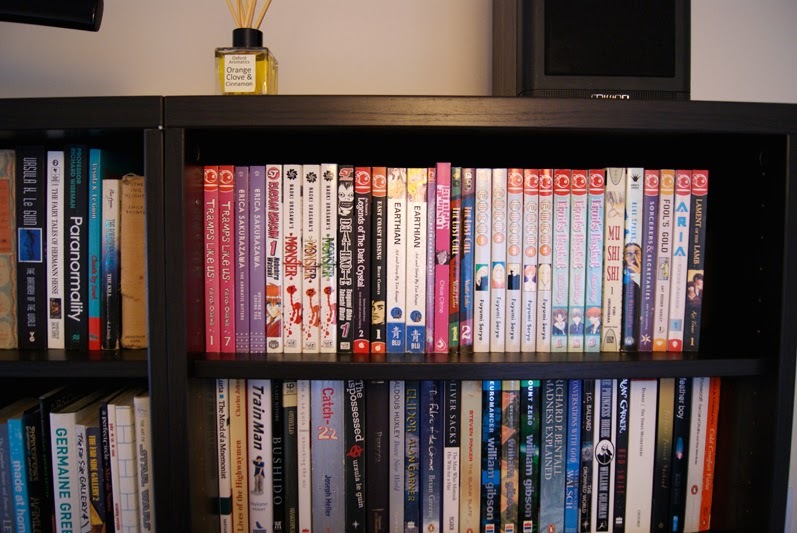 It was the first proper series I got serious about COLLECTING, and it was around the time manga became a little easier to get hold of in the UK. I'd read in Manga Magazine that they'd just started releasing it, so I wanted to jump on that first release and go along with the ride. I think I was given vols. 1 & 2 as birthday presents, and read them over and over and over. I was happy just to read something that was by such a successful woman creator, even if the manga industry felt like worlds away. As it happened, I got up to like vol.12 in the series, and then realised it was going on forever and I super couldn't afford it, and stopped. I looked up the ending on Wikipedia recently, actually... maybe I'll pick up the last couple volumes one day. Many thanks to Kate for participating. 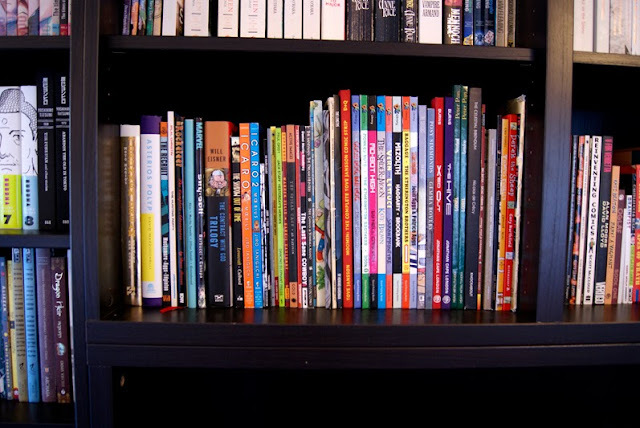 Remember to stop by on the 15th for the next installment of Comics Shelfie.